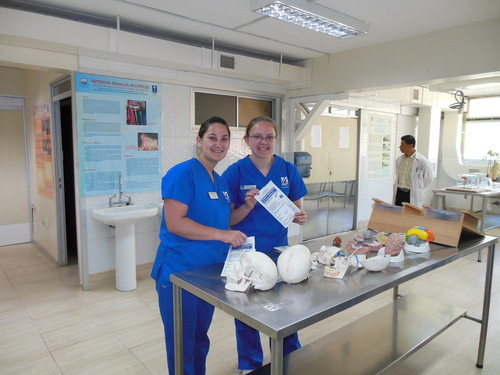 Sarah Post and Sara Pietila in the anatomy lab. n Tuesday afternoon we were very fortunate to meet and talk to the Dean of Nursing at Universidad de Catolica. We learned that their nursing program is 5 years and there is a HUGE focus on science… and we complain about our 4 year program. We discussed the curriculum and learned that they have similar clinical rotations and that their 5th year is a unpaid nurse residency. Currently there is no nationally recognized nursing boards but it is in the developmental stages. Class size is small with a max of 35 students in a (large) lecture, and there is a 1:4 faculty to student ration during clinical. We toured the classrooms and were surprised that they had simulation models due to the expensive price. The rooms were also equipped with smart boards and lecture capture technology. Come to find out the nursing department received a large government grant. 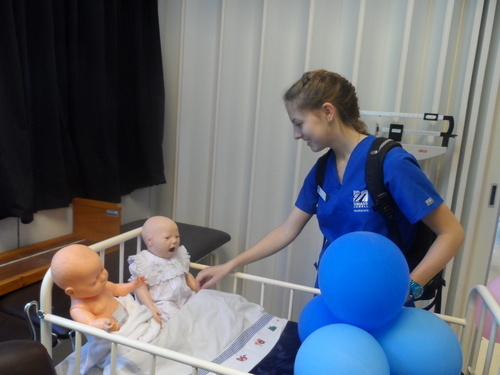 Jenna Connolly checking out the nursing lab. We continued our tour and ventured to the anatomy and physiology lab where we were once again shocked by how advanced the labs were. The labs contained numerous models and diagrams, but what was most surprising was the adult cadavers and fetuses. The anatomy professor was very accommodating and enthusiastic. He was more than happy to go through a brief lesson of anatomy with the cadaver, and then allowed us to touch and explore on our own.The upper classmen taught Sarah (a sophomore) and Javi (our interpreter) how to put on sterile gloves. 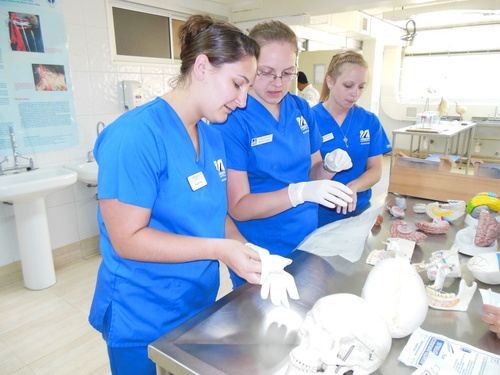 (l-r) Sarah Post, Sara Pietila & Mariah Wentworth prepare to examine a cadaver. We wrapped up our tour and headed back to our hotel on the city bus. 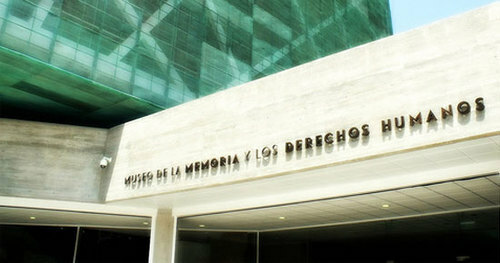 Although we did not have the opportunity to interact with the students we still felt integrated in the university. Overall we were very impressed with the university and curriculum. 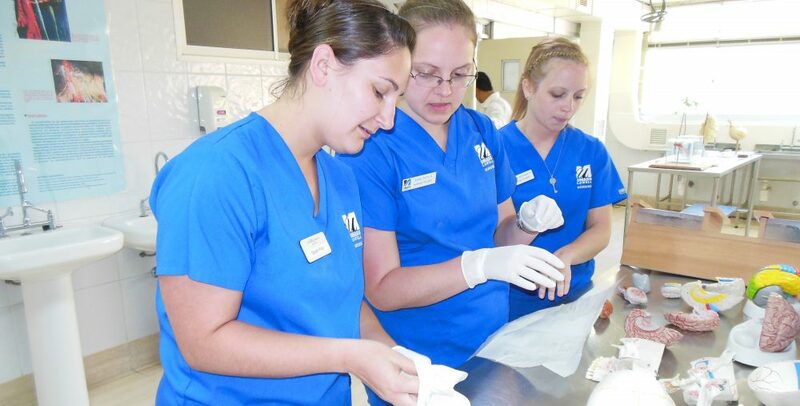 The faculty we met are very compassionate, knowledgable, and personable. 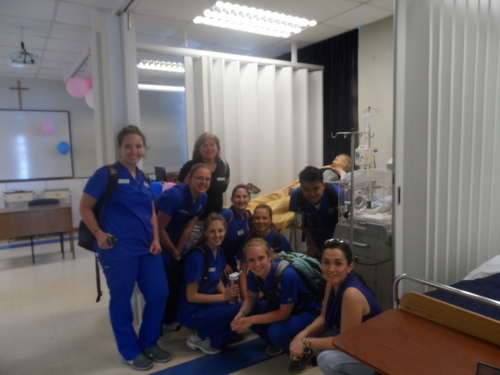 We felt welcomed and would love the opportunity to strengthen the bond between university and possibly someday have an international nursing exchange program. <3 Sarah Mariah Sara (the Mariah sandwich room). View a photo gallery from their trip.